ANN ARBOR, Mich. – Nearly 28,000 American children and teens have died because of firearms in the past decade – second only to the 44,800 who died in motor vehicle collisions. The site, http://www.childfirearmsafety.org, aims to share what's known – and what experts still need to find out – about guns and people under age 19. The site offers free access to a trove of data on the issue, as well as training for health care providers and others. That knowledge lags far behind what we know about other top causes of death, disease and injury among children and teens, says Rebecca Cunningham, M.D., co-leader of FACTS and an emergency physician and associate vice president for research at U-M.
"Despite the death toll, research on the leading cause of death for young people gets at least 450 times more federal funding than research on firearms, the second-leading cause of death," says Cunningham. "Our nation cut the rate of motor vehicle collision deaths and injuries by at least 90 percent over the past 100 years through science, policy and public awareness, without reducing the number of miles we travel or the number of vehicles on the road," she says. "This website is a first step toward changing the equation on death and trauma from firearms among young people, while respecting the rights of citizens to own guns under state and federal laws." Cunningham and FACTS colleagues and stakeholders from around the country recently held their first meeting on the U-M campus; a video of the public event that capped the day is online. The FACTS website is hosted and managed by the Inter-university Consortium for Political and Social Research of the U-M Institute for Social Research. 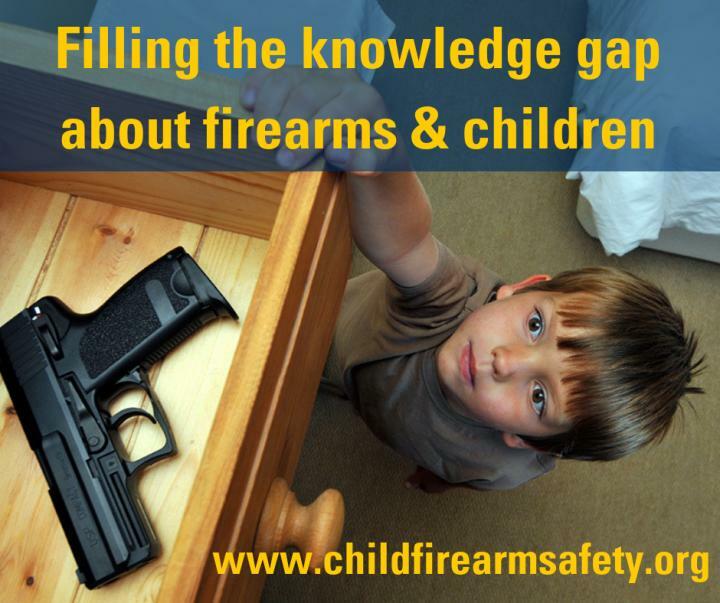 It features a searchable database of research papers by FACTS members on firearms and children, as well as downloadable data from previous research projects and a way for researchers to upload their own data to share with others. Marc Zimmerman, Ph.D., the Marshall H. Becker Collegiate Professor in the U-M School of Public Health, and Patrick Carter, M.D., an assistant professor of emergency medicine at U-M, co-lead FACTS with Cunningham. In early 2019, they will publish review articles summarizing current evidence about firearms and young people, and begin awarding pilot grants to help jump-start new research. Building up a pipeline of new firearm safety researchers is a major goal of FACTS. The first three postdoctoral research fellows have already begun the FACTS training program, along with over a dozen masters and graduate students working alongside the faculty. Another key goal for FACTS is educating health care providers, teachers and childcare providers about firearm-related issues for children, teens and their families. For instance, FACTS will be creating an online curriculum about preventing firearm injuries among children and teens that will address firearms, along with other important issues such as opioids, bullying and suicide prevention. As it continues its work, FACTS will take guidance from a group of non-researchers who have a stake in the issue of firearms and young people. The members of the group come from the law enforcement, faith, education, health care, gun owners and public health communities. Carter notes that much more needs to be done just on counting and tracing non-fatal firearm-related injuries among young people – as opposed to deaths, which the CDC tracks reliably. At least 12,000 young people a year survive a firearm injury; one-fifth of them have injuries to the head or spinal cord that can devastate a young person's ability to live independently. He also notes that the effort to prevent suicide among young people intersects with the firearm issue. Zimmerman, whose work focuses on the impact of the social, built and cultural environment on public health issues, notes that today's children have grown up not questioning the importance of wearing a seatbelt because of research and policy change from the past few decades. "With firearms, we're at the beginning of the changing of a culture," he says. "Through research we're starting to crack the door open, to allow us to make people more aware of ways to prevent firearm deaths and injuries among our youngest generation."